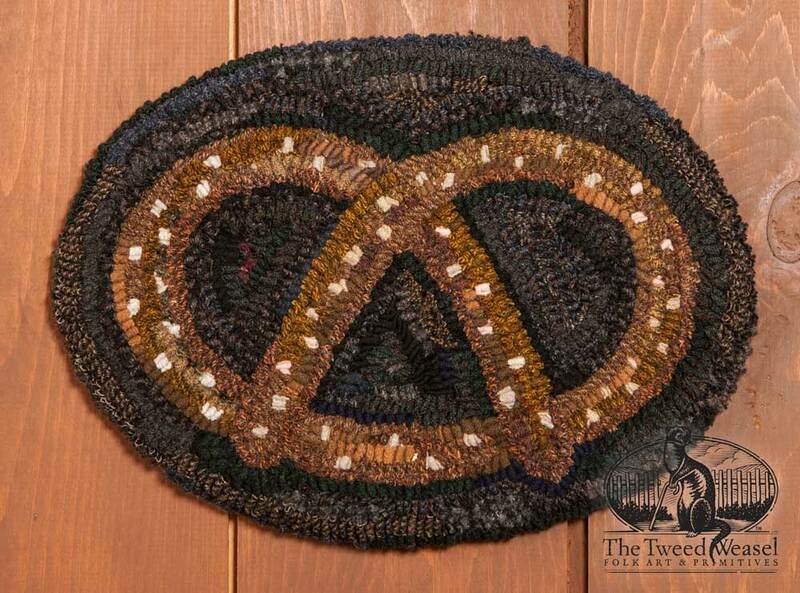 What’s a Pennsylvania folk art gallery without pretzels? 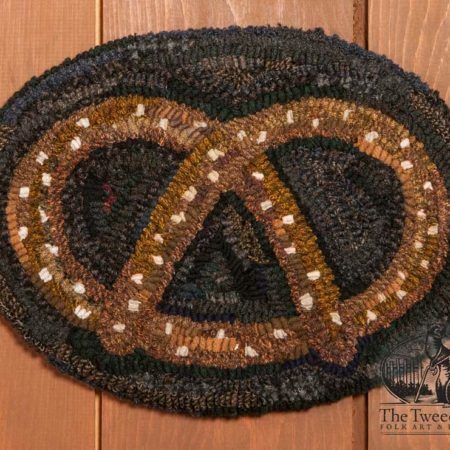 This oval chairpad design will add extra charm to your dining room or to your favorite hallway seating area. Designed and hooked by Tish Bachleda. If you prefer a different size, let us know the desired dimensions and we’ll provide an estimate. You may also bring your intended chair into the gallery for an exact fit. $205.00 Add to Wish List What is this?